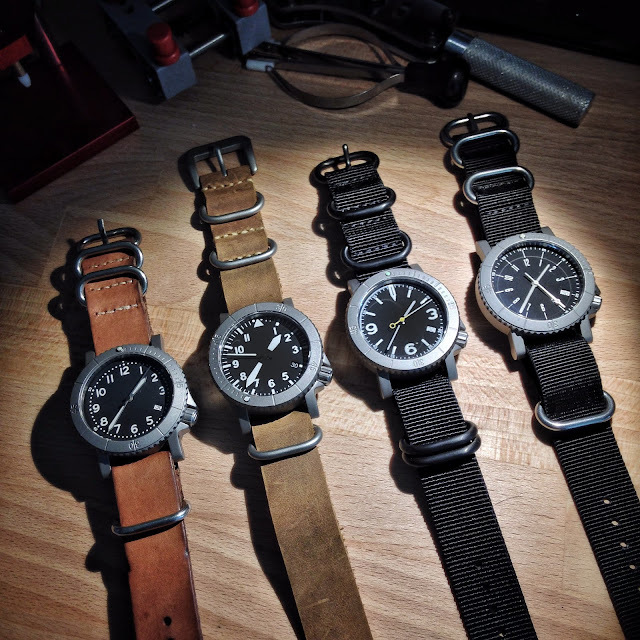 The Time Bum sees a lot of watch projects – a lot. Most are forgettable, some are interesting enough to share, and every so often, one comes along that just knocks it out of the park. Sit tight, because the Redux COURG is one of the winners. Elbert Chu of New York City is the man behind Redux. 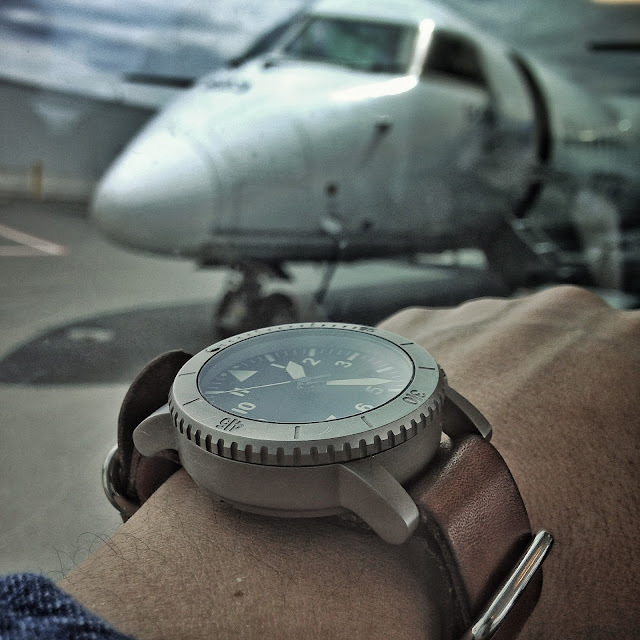 He is a science journalist, aviation geek, and watch enthusiast. 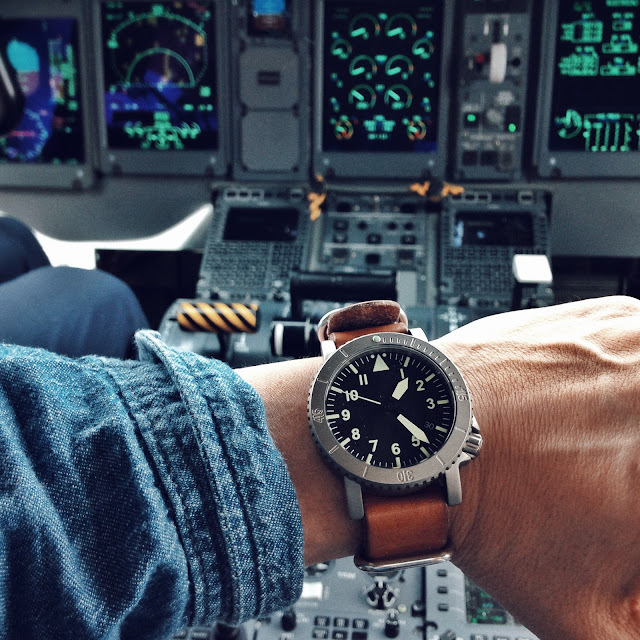 His pilot's watch has a Seiko automatic, a titanium case, and few other tasty specs for good measure. It has just launched on Kickstarter and I'm going to tell you straight up, I want one. Let's start with the name. When I saw "COURG," I thought it was yet another case of the dreaded Kickstarter drop-a-vowel naming syndrome, but it is actually a waypoint. A way-what, you may ask? A waypoint is a navigational aid used by pilots. They correspond to fixed locations and have five letter names that can be easily radioed in. 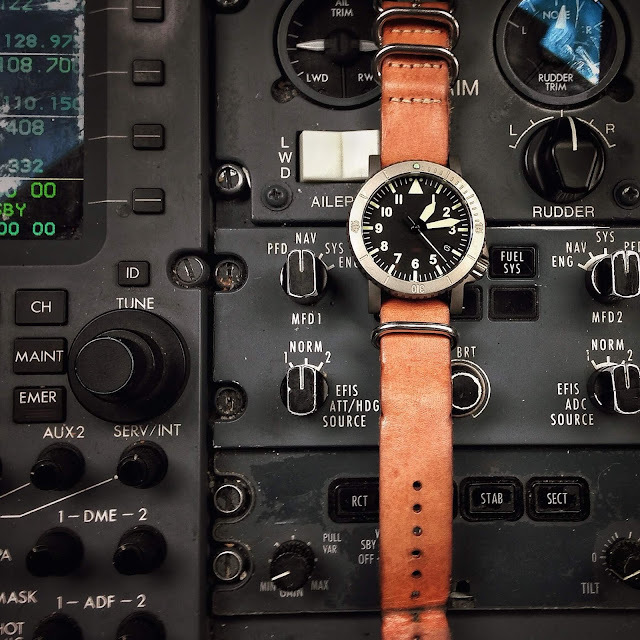 COURG (courage) is a waypoint west of Washington, DC and a fitting name for an aviation watch. The case is titanium, a metal used in aerospace and medical applications because it is exceptionally strong, lightweight, highly corrosion resistant, antimagnetic, and hypoallergenic. All these factors also make it a particularly good choice for a tool watch. The distinctive blue-grey color and matte finish don't hurt either, lending it a tough, military appearance. The COURG backs up its rugged looks with an anti-reflective sapphire crystal, screw down crown, and 150m water resistance. Inside, a Seiko NH35a automatic hums away at 21.6k bph. I've encountered this movement in several watches and think it is a solid choice. An improvement on the old reliable Seiko 7s26, the NH35a has 24 jewels, a 40+ hr power reserve, a bi-directional rotor, and hacking and hand winding capabilities. Now, I like a big case as much as the next guy, but not every tool watch needs to be 44mm or larger. Indeed, there is a pretty good argument that they shouldn't be. Tools are supposed to be practical, after all. True, the original Luftwaffe fliegers were 55mm wide but they also housed huge movements in antimagnetic shielding and were worn on the outside of a flight jacket. For those of us not blitzing London, a smaller case is the more useful choice. 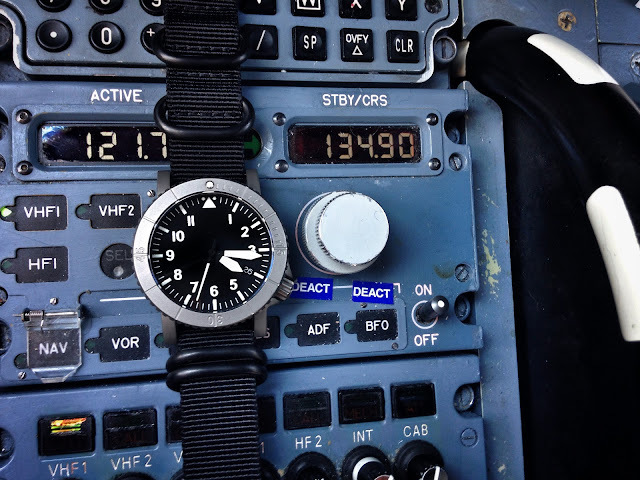 The 39mm COURG is right in the sweet spot for most wrists. It is also 46.6mm long and nearly 14mm thick, so you can be sure it will not hurt for wrist presence. The lugs do not taper, but arc downwards, terminating in a rounded end. I particularly like the way the lower right lug meets the crown guard at a right angle. The unidirectional timing bezel is also titanium with recessed markers and an aggressive, notched edge matching that of the 4 o'clock crown. Four dials and handsets are offered. All the dials are black with BWG9 SuperLuminova that is white in daylight and glows blue at night. To my delight, these are sterile dials: no brand, no logo, no text, no clutter, and no distractions. The 4 o'clock date wheel will be a seamless white-on-black (the black-on-white wheels in the prototype pictures will be changed before production). 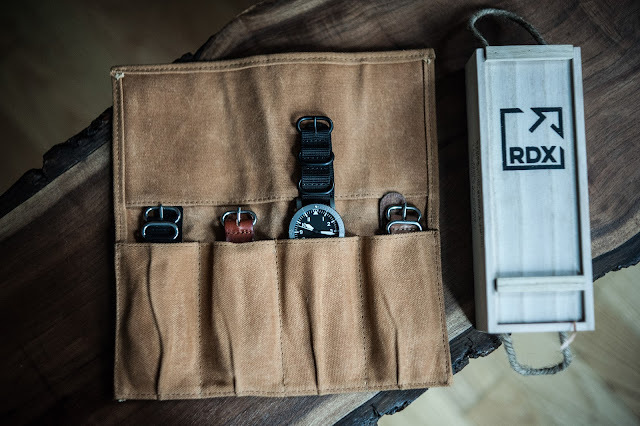 In keeping with the utilitarian theme, the strap is a simple nylon Zulu with PVD black hardware but I can't help wondering how it might look on thick two-piece leather. 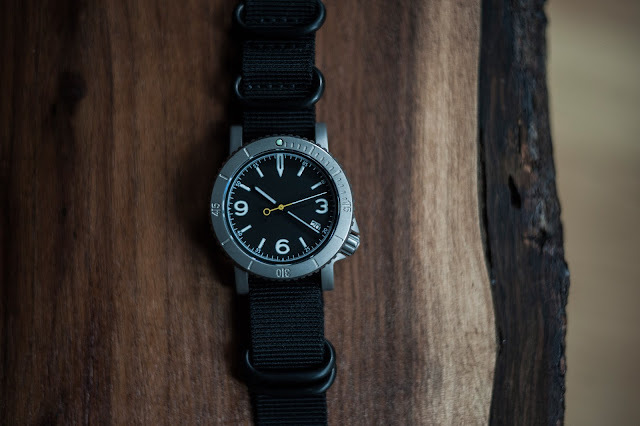 Variant 1 is the familiar German Type-A navigator, with the distinctive triangle at 12 o'clock and instrument style sword hands with lume from edge to edge. Variant 2 has Arabic numbers all around and black sword hands like the A-11 used by the Allied pilots in World War Two. Variant 3 has an Explorer-style dial with oversize numbers at 3/6/9, a negative arrow at 12 o'clock, and a cool yellow loop counterweight on its second hand. Variant 4 has lightweight Bauhaus style numbers in a radial arrangement, long index markers, baton hands, and a lollypop second hand. It is difficult to choose a favorite. You can't go wrong with the traditional faces on Variants 1 and 2. I like the bold graphics on Variant 3 and it is the only one with a splash of color. The dial on Variant 4 is the least military but most distinctive, its fine lines creating an interesting counterpoint to the muscular case. Finally, I must mention the Redux Kickstarter page itself because most Kickstarter pages are pretty damn crappy. I understand that the projects are usually one-man operations and you can't expect everyone to be a marketing genius, but too many are poorly written, badly photographed, and contain ridiculous platitudes about "true luxury" or "transforming your mastery of time." I know you are buying the watch and not the page, but I'd worry about buying a watch from a guy who half-asses his own launch. Elbert did it right. The copy is tight, the photographs look professional, and all the key information is easy to find. It is a nice piece of work that makes me far more likely to buy his product.